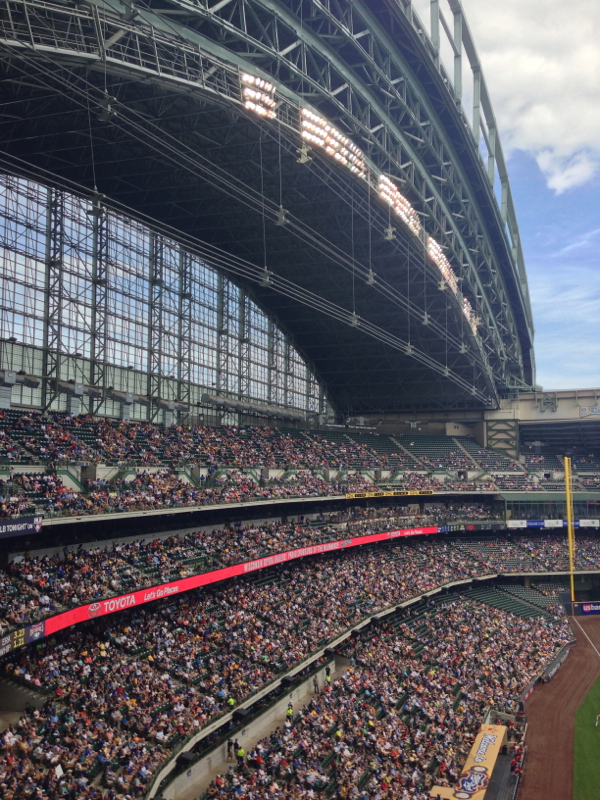 Miller Park is one of the few ballparks in Major League baseball with a retractable roof. 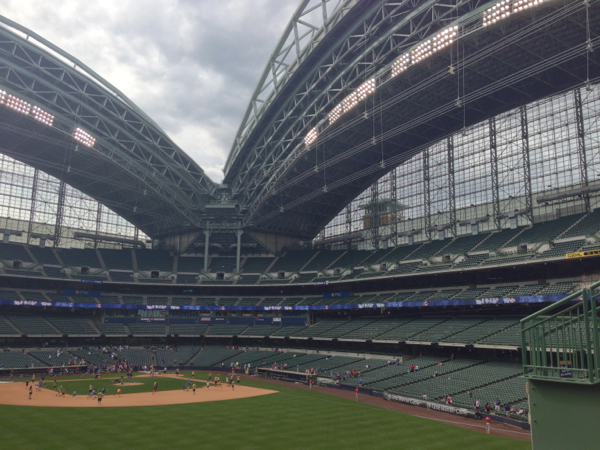 Miller Park is in Milwaukee, Wisconsin, which is only a one and a half hour train ride from Chicago. I took a trip there last Sunday to watch the Milwaukee Brewers play the Washington Nationals. The stadium is very impressive and there was a real carnival atmosphere. There was loads of entertainment for kids and they even handed out free bobble head figures. The games was also very interesting; the Brewers looked really clueless early on, making errors and it looked like their heads were on a different planet. But around the 5th innings things started to change and they managed to come back and win it in the end. What is interesting is that the stadium was funded through taxpayers’ money, by adding an additional sales tax in the surrounding counties. This additional tax will run until about 2017 to recoup the money, more than 20 years after it started. The cost for the stadium is estimated to have been around $400 million. Which sounds like a bargain compared to the $1,5 billion that was spent on the new Yankees Stadium in New York, which does not even have a roof. 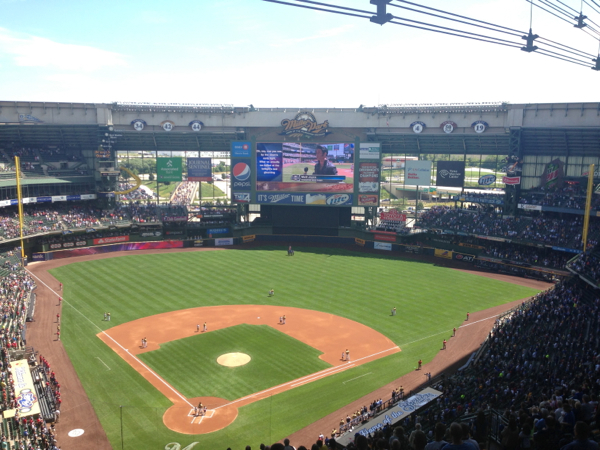 And holds only few thousand people more than Miller Park. The view at the stadium from outside, with the free bobble head figure they handed out on the day. The Brewers now play in the National League but was part of the America League prior to the 1998 season. 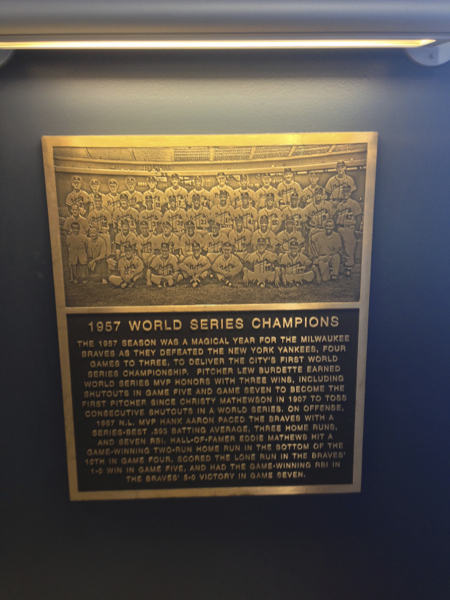 The Brewers have never won the World Series, although the Braves, now in Atlanta, won the World Series in 1957 when they were still in Milwaukee. 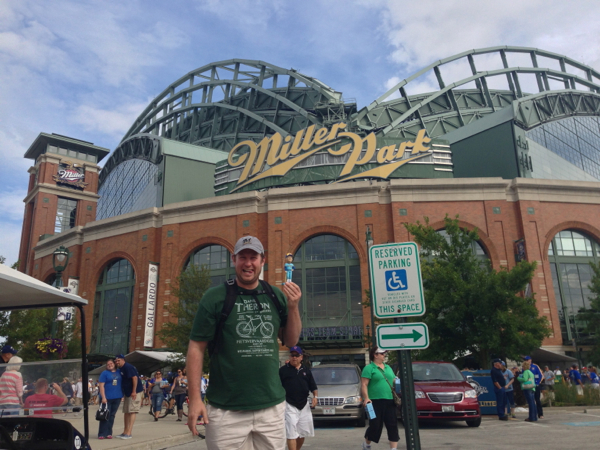 It was great fun doing a daytrip to Milwaukee and seeing a baseball game at Miller Park. The only hiccup was a delay on train back to Chicago in the evening, when another train hit somebody that was trespassing on the train tracks. So we were delayed for a few hours. This entry was posted in Baseball, Sports on 2013/08/16 by Justinus.